Important life events, like a family or career change, can cause stress, and so can moving. If you want to alleviate some of the stress associated with packing your belongings carefully and moving from NJ to Delaware, it’s essential that you choose the right mover. There’s no better choice than the team at Simonik Moving & Storage. We have been committed to providing the highest quality moving services possible since 1977, which is why we enjoy an A+ rating with the Better Business Bureau. 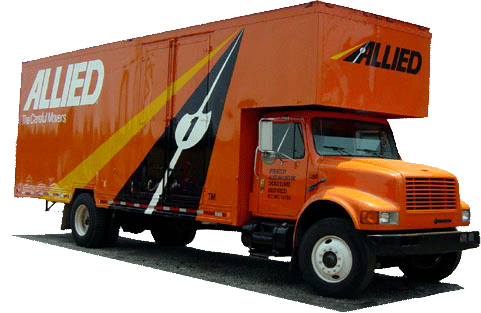 We are an award-winning agent of Allied Van Lines, which means you’ll enjoy access to moving and storage professionals all across the U.S., if your move ends up taking you well beyond New Jersey or Delaware. When it comes to your move, you want to make sure that you’re treated with respect, no matter how big or small your move. When moving to Delaware from New Jersey, we start with an in-home estimate to help you understand our costs. We’ll then cater a moving plan to fit your needs. Once your move is underway, we’ll assign you with a Relocation Coordinator. Before the first box is packed until the very last box us emptied, our coordinator will make sure that all your questions and concerns are addressed in a timely fashion. Moving can be messy. You aren’t always able to move all your things from point A to point B in one easy go. For you to move from New Jersey to Delaware, you may have to consider storing your items until you’re ready for them at your new location. At Simonik, we provide short- and long-term storage for household items that are carefully packed in containers that can even handle the rigors of international shipping. We can store your stuff for any length of time in our secure warehouse facility. Then, when you’re ready, we can ship them. You just have to let us know when! For you to complete your NJ to Delaware move, you need to hire pro’s. Here at Simonik, we really are experts at packing, moving, and storing. We are a past recipient of the ‘Mover of the Year’ award from the New Jersey Warehousemen & Movers Association, and we are a ProMover member of the American Moving and Storage Association. We know what it takes to conduct a successful long distance move for residents throughout North and Central Jersey, including those located in Hunterdon, Mercer, Middlesex, Monmouth, Morris and Somerset counties. If you want to simplify your NJ to Delaware moving process, contact us today. Want to know how much our services cost? Fill out our convenient online quote form and we’ll provide you with a free, no-obligation estimate!